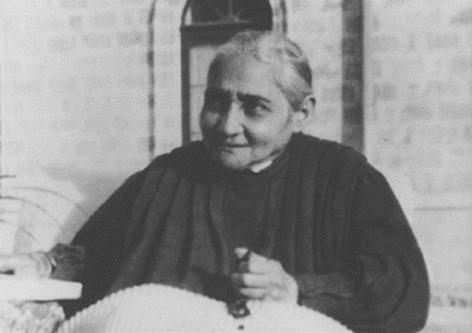 Some prerequisites are needed in order to enter into the writings of the Servant of God, Luisa Piccarreta: profound Eucharistic formation; devotion to the Most Holy Virgin, total submission to priestly authority; all her writings must be read and meditated upon in the light of Sacred Scripture and the infallible Magisterium of the Church. Only in this way are her writings understandable and of highest formative Christian value. Otherwise, they can create inept fanaticism, which clearly contradicts the Christian-Catholic thought and mentality of Luisa Piccarreta. 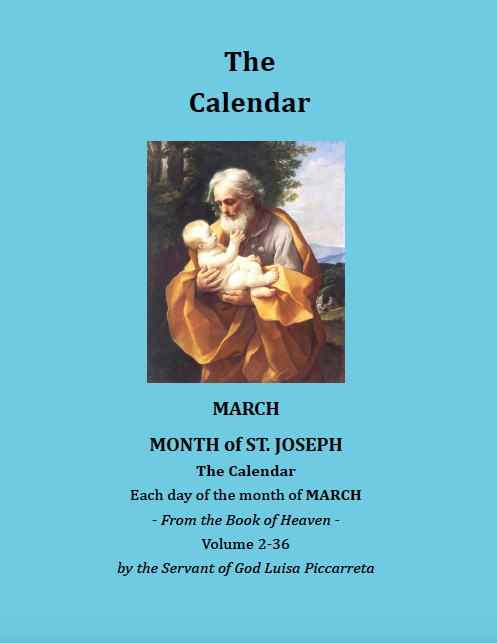 The diaries of the Servant of God do not present themselves with ordered and logical content because they were not born to create a theological system, or to develop any aspects of dogma and of Catholic moral doctrine. They are nothing other than the description of her mystical experiences in the form of a daily diary, a chronicle of conversations that she continually has with Our Lord Jesus Christ. Our Lord becomes her Master of perfection and leads her on the paths of sanctity, granting to her, after having molded her through suffering and the exercise of the virtues, the gift of the Divine Will. This gift does not consist in doing the Will of God, but in living His Will; in this are her writings unique. According to what the Servant of God asserts, the living the Will of God is the Gift of gifts. 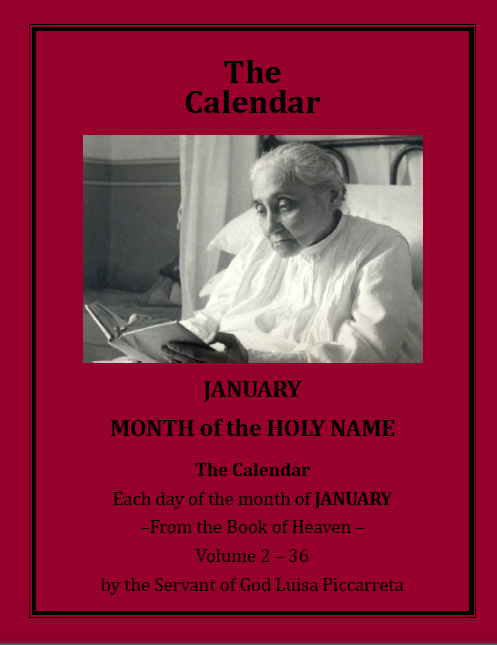 We can say that all her diaries are a commentary on the words of The Our Father: “Thy Will be done on earth as it is in Heaven.” This is the sanctifying FIAT that must have Its fulfillment on earth as in Heaven. 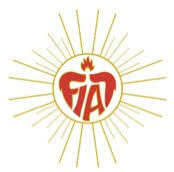 The Servant of God amply speaks about the creative FIAT, the redemptive FIAT, and she announces the sanctifying FIAT, which fulfills the whole work of God. 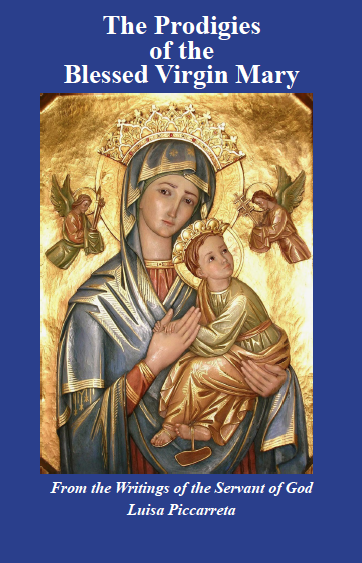 Just as the cooperation of a creature was needed for the redemptive FIAT so that the Word of God would become Flesh – that is, Mary Most Holy, the Elect among the elect – so in the accomplishment of the third FIAT the Lord uses another creature. All this takes place in the greatest silence, according to God’s way of operating. In Luisa Piccarreta’s diaries we note a progressive deepening of the way of perfection of souls. The first diaries speak amply about the exercise of the virtues like faith, hope, charity, etc. 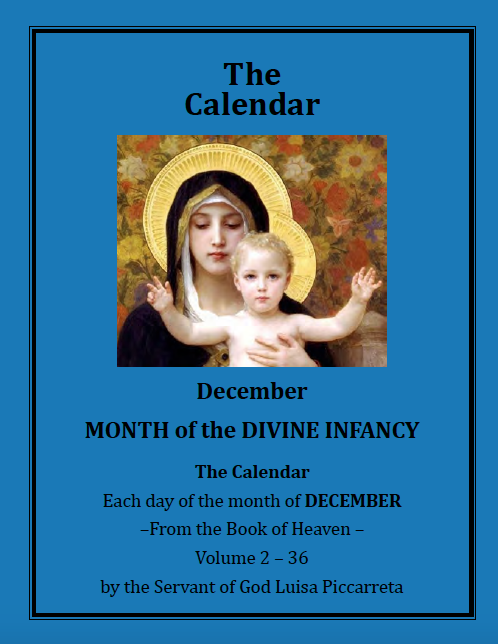 ; the second period can be identified as the “period of the gift” – that is, of the Divine Will. 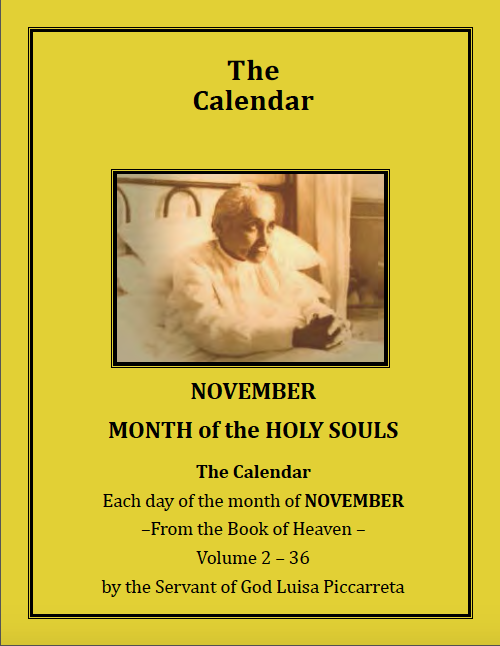 The third period is a deepening of the gift of the Divine Will, and of all the benefits that can be derived from it for the salvation of souls and of the world. 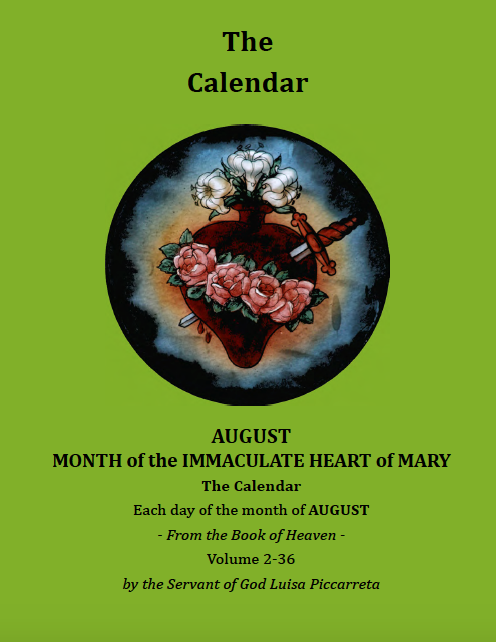 However, it must remain always very clear, in reading those diaries which diffusely speak of Mary Most Holy and of Luisa in their respective roles, that one cannot make comparisons between the two women. Clear in the writings is the unrepeatable and unique role of the Most Holy Virgin, who enters in full title into the mystery of God and is part of Sacred Scripture, that is, of the public revelation of God as indicated to us in the New Testament, especially in the four Gospels’; and no Christian, if he wants to remain a Christian, can deny the role that this marvelous Creature has in the salvific plan operated by Christ, Her Son, true God and true Man – and because of this She is the Mother of God. As for Luisa Piccarreta, all of her diaries and her mystical experiences are fruit of private revelation, just as it happened with other Saints; and they do not constitute any obligation; in fact, everyone is free to accept them or not. And if a person wants to give credit to a private revelation, he always needs the verification of the Magisterium of the Church, which alone can give credit to any writing, while always maintaining their non-obligatory value. In the diaries of Luisa Piccarreta there are many vernacular expressions, such that, in order to comprehend them, there is need of a sound knowledge of the Corato dialect; as for example, to mention one: “impicciare”, which stands for a indiscreet interest, unrequested or unwanted, on the part of some people in the private or public life of others. There clearly emerges from the diaries of the Servant of God a peasant mentality; in fact, the life of Luisa took place in a strongly rural context. I personally have heard her speak in the pure Corato dialect on many occasions in which I found myself at her home with my aunt Rosaria, hearing their conversations; and often times, while I was in her little room, she would say to me: “Peppi, pigh’ l’ spil da terr”, which, translated, means: “Jo [Joseph], pick up the pins that fell on the floor.” But this is only one of the exchanges I had with her, or I witnessed. 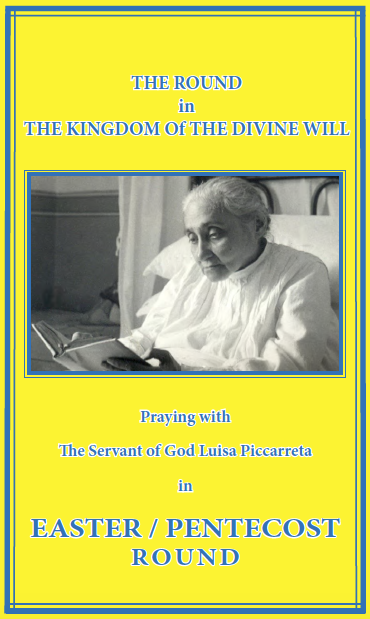 Much is said about Luisa Piccarreta with regard to her holiness and her mystical aspect, but the social aspect of the Servant of God toward the poor girls of Corato is neglected. The number of girls who visited Piccarreta’s house, which had become a school of formation and of work, is incalculable. For the girls of Corato who came from social classes that were close to marginalization, and who could easily end up on the street, learning the work of embroidery with the “Tombolo”, the goods of which were very much in demand from the well-to-do and noble families of Corato, it was an enormous social and cultural advancement. Many of these girls chose religious life, and others entered married life, according to their specific inclinations. I myself have known many families who recounted the benefits they received in their life from the formation received from the Servant of God. Very many girls and many young men embraced religious life and some are still alive, and cover prestigious positions in the orders to which they belong. Another aspect to consider is the prophetic one, a field little explored, almost ignored and neglected by everyone. These prophecies are set like jewels in Luisa’s conversations with Our Lord Jesus Christ, like flashes, and they are found scattered throughout her diaries. One of these prophesies, the only one reported in these reflections, seems to have great significance in our days, and it specifically refers to Germany: in it the Lord reveals to the Servant of God that He has great designs upon that nation, and that it will all convert to Catholicism. This prophecy is from 1918 and Our Lord told her that it would not be realized any time soon. Certainly, we are in the field of hypotheses and of suppositions, even if it is an invitation to reflection. The first virtue that emerges from the writings of the Servant of God is obedience, which characterizes her for her whole life. 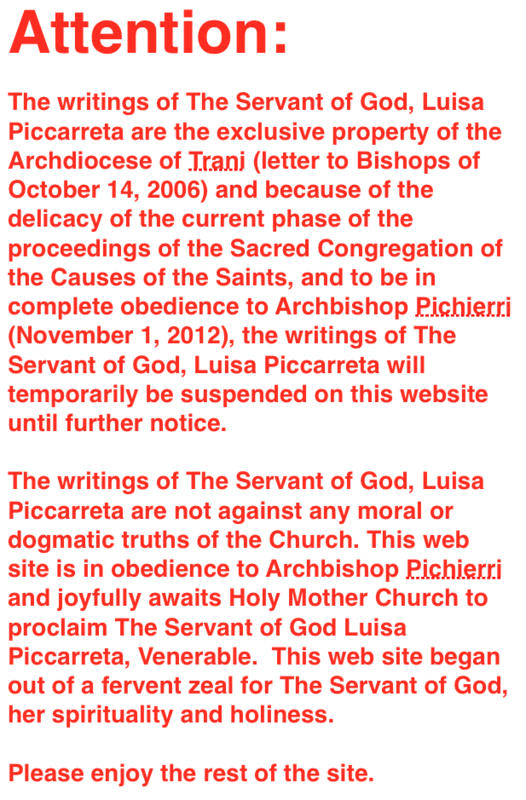 Luisa’s life could have the name “obedience.” Total submission to priestly authority. The sun, the light, are two symbols or signs which will serve her to explain or render more accessible her thought, even if she insists that they are nothing, or rather, they are nonsense compared to her mystical experiences. The Holy Virgin is another dominant theme, so much so, as to open new horizons in the comprehension of Mary’s role in the salvific plan. 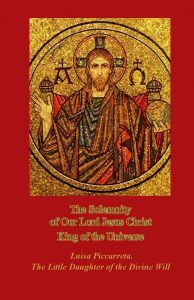 A new element that one does not encounter in other mystics is the position of Jesus who, while He orders total submission to priestly authority, does not permit the spiritual guidance of a priest. In fact, Luisa will never have a spiritual director. This task He will assume Himself, guiding her by the hand toward the path of perfection, using strength, admonitions, reproaches and benignity, so that her soul be molded completely by His grace. A deeper comprehension of the mystery of the incarnation and the relationships which exist among the Father, the Son and the Holy Spirit, Their infinite, reciprocal love, and Their love toward men, in spite of their ingratitude, spring from the One and Eternal Divine Will, which is the same in the Three Divine Persons. The Divine Will springs from the One Eternal Beginning, and through the Son and the Holy Spirit, It is communicated as gift to the creatures who freely want to live It. The happiness of a soul who lives of faith! She flies always toward God. Whatever may happen to her, she keeps her gaze always toward God. In fact, through Faith, tribulations are changed into virtues, which rise in God, in such a way that she neither afflicts herself nor does she complain, because she knows very well that she will find all justice and all happiness in Heaven. The joys, the riches, the pleasures that surround human life have value only in God, therefore a soul finds only annoyance in merely earthly goods, she despises them and tramples them underfoot. The goods of the soul are only God, and the soul grafts herself by grace in all the virtues, and Faith is at the center of these virtues that serve her. In fact, without Faith all the virtues are dead. The Lord God communicates Faith to men in two ways: the first is in Holy Baptism, the second is when God shares with man His power, communicating the Virtue of Miracles: as in resurrecting the dead, curing the infirm, stopping the sun, and more. If the world had Faith, it would certainly transform into a terrestrial paradise. The soul who practices Faith is like the birds which, fearing to be caught by hunters, remain always at the highest top of the trees, and when they need food they descend hurriedly to the ground, they take it and carry it up to the top of the tree, to then eat it. The soul who lives of Faith is always timid with earthly things, and her dwelling is always up high, in the wounds of Our Lord Jesus Christ, and with Him she suffers and prays for the human condition and miseries. The soul who lives of Faith abhors sin, but at the same time she bends down toward sinners, and prays that they may be drawn out of the precipice into which they have fallen, and she offers herself as victim to placate Divine Justice, even if it should cost her her life. This light seems to be all voice – and without speaking; all operating – while it always rests. It is present everywhere – without occupying anything; and while it is present everywhere, it also has its own center. God remains always incomprehensible. One can see Him, feel Him; He is in the life of souls, He restricts Himself in them, while remaining always immense and losing nothing of Himself. Man feels he can only stammer before a Majesty and a mystery so great; so much so, that he is unable to say anything. And she still continues her explanation adding her reflections on the Most Holy Trinity: “The light of the sun diffuses everywhere; in the same way, God, with His immensity, penetrates everywhere. However, let us remember that this is but a shadow, because the sun cannot reach where it cannot penetrate with its light, while God penetrates everywhere. God is most pure Spirit, and we can represent Him with the sun that makes its rays penetrate everywhere, without anyone being able to grab them with his hands. Moreover, God looks at everything – the iniquities, the evils of men – and He remains always as He is, pure, holy, immaculate. A shadow of God is the sun, which sends its light over rubbish, and remains immaculate; it spreads its light in the fire, and is not burned; in the sea, in the rivers, and is not drowned. It gives light to all, it fecundates everything, it gives life to everything with its heat, and is not impoverished of light, nor does it lose any of its heat. Even more, while it does so much good to all, it has need of no one, and remains always as it is – majestic, resplendent, ever immutable. Oh! how well can one recognize the divine qualities in the sun. With His immensity, God is present in the fire, and is not burned; in the sea, and is not drowned; under our steps, and is not trampled. He gives to all, and is not impoverished, and has need of no one; He looks at everything – even more, He is all eyes, and there is nothing He does not hear. He is aware of each fiber of our hearts, of each thought of our minds, and, being most pure Spirit, He has neither ears nor eyes, and regardless of any happening, He never changes. The sun, investing the world with its light, does not tire; in the same way, God, giving life to all, helping and ruling the world, does not tire. She continues the comparison of the sun in order to better clarify according to our human comprehension, the mystery of God, saying: “The roundness of the sun also symbolizes to me the eternity of God, which has no beginning and no end. The very light of the sun, penetrating, is such that no one can restrict it within one’s eye; and if one wanted to fix on it in its full midday, he would remain dazzled; and if the sun wanted to draw close to man, man would be reduced to ashes. The same for the Divine Sun: no created mind can restrict It within its little mind in order to comprehend It in all that It is; and if it wanted to try, it would remain dazzled and confused; and if this Divine Sun wanted to display all Its love, allowing man to feel It while he is in his mortal flesh, he would be reduced to ashes. SinceGod is all possible beauty and good, He deserves to be loved intensely; creatures must open their hearts to God so that He may pour upon them all the treasures of His graces. The world that surrounds the creatures, whether it be small or big – thoughts, imagination, creatures, animate and inanimate; money, power, dominion – cannot subsist with the free love of God. In fact, since God is the maximum perfection, He refrains from presenting Himself to creatures who are full of their own ‘self’, nor can He pour His graces into them because all the imperfections with which they are filled form an obstacle to His plan of salvation. It remains always clear that God freely desires the salvation of all. The sacrifice of the Cross speaks to us precisely about this salvific love of God. God, in seeing how creatures spoil His treasures, does not risk lavishing His graces upon one who is obstinate in living only of human will. In fact, when all things fill the mind of man, they surround his heart with a thick and impenetrable fog, which prevents grace from penetrating into it. Only God, and He alone, can love creatures by rendering them happy. And man, if he wants to correspond to the love of God, must love creatures by putting God in the first place, thinking that He is the author of love. Even in adversities, man will have the capacity never to lose esteem toward his own brothers, because he will look upon them as a wonderful gift of God, and the adversities will render him more worthy of the love of his Creator, which embraces everyone. Only by acting in this way does man acquire a true freedom, as he will open himself to grace and, at the same time, will not bind himself to anyone – his only love is God. Nothing will be able to attract his heart. Creatures, including all Creation, will be for Him a projection or a reflection of the love, of the beauty, of the power and of the light of God. He will regard man with the same love of God, as a privileged creature, created in His image. When the creature frees herself of the external world, she remains alone with God, and will seek to love Him profoundly, so that God may always find her disposed to receiving His graces. Such soul will become a perfect image of God, and He Himself will lead her by the hand toward the highest summits of perfection, purifying the interior of her heart by the exercise of humility. By humility, God makes us understand that man can do nothing good without Him. The Lord does not trust those souls who attribute to themselves the good that they may accomplish, because that would be a theft to His grace. The Lord is most generous in gifts toward those souls who live with the fear of losing His grace, because they know very well that they can do nothing good without Him. The soul who does not live a sincere humility takes the graces received into little account, and she sets herself toward her own ruin. The soul who is truly humble is like a baby in swaddling clothes, who depends on his mama for everything and continually confesses his nothingness. The Lord has predilection for humility because God is the supreme truth, and one who is humble lives in this truth and comprehends with clarity his misery and nothingness. One who does not hold his misery clear in his mind and heart walks in falsehood. Knowledge of self without humility is harmful, and does no good. But when it generates humility, it is most precious. Humility draws grace; humility breaks the strongest chains; humility surmounts any wall of division between the soul and God. Humility is a little plant, but always green and flowery, not subject to being gnawed by worms; nor will winds, hail or heat be able to do harm to it, or make it wither. Though being the littlest plant among the virtues, humility produces very high branches, which penetrate even into Heaven, braiding around the Heart of Our Lord; indeed, only the branches that come from this plant have free access into that adorable Heart. Humility is the anchor of peace during the storms of the sea waves of this life. Humility is the salt that spices all virtues and preserves the soul from the corruption of sin. Humility is the little grass which sprouts along the way treaded by wayfarers; while being treaded, it disappears, but soon one can see it sprout again, more beautiful than before. Humility is like a gentle graft, which renders the wild plant gentle. Humility is the sunset of guilt. Humility is the coin of grace. Humility is like the moon, which guides us in the darkness of the night of this life. Humility is the key of the door of Heaven, such that no one can enter into It if he does not keep this key in good custody. The Lord knows very well that man is weak, and He wants him to take strength from Him. The man who draws the strength of his actions from God is always upright in his operating; in fact, with one eye he looks at God and with the other at what he is doing; by doing so, creatures disappear. In fact, if he receives a command from someone, he does not look at the person, but he looks at God, as if the command came from Him. Therefore, with his eye fixed on God he cannot judge anyone, nor will he consider whether the command received is just or unjust. These souls, in all their actions, and especially in human relationships, will never judge their neighbor, good or bad, because their end is only to please God. Judgments toward one’s neighbor remain far away from their mind and heart. For the souls who live the Will of God, mortifications, offenses and calumnies are considered a privilege, because they feel called to participate in the pains and sufferings of Christ. Everything that a soul does passes from the earth into Heaven; therefore, one must be careful about purity in operating, with which one must act. The soul must think that all her steps, all her words, reach the presence of God; if they are pure, God accepts them and takes delight in them, and He inundates them with His light and with His grace. But if her operating has low, earthly, trivial purposes, it constitutes a bother for God, who rejects them, while the soul is surrounded by fog, ever more thick, and her gaze no longer rises toward Heaven, but only onto the earth that her feet trample. If our works are pure, they are all deposited in Heaven, and when a soul enters into It, she will find them all, making feast for her with great joy. The soul that possesses purity is invested with candid light, in such a way that God, in looking at her, finds His very image and feels drawn to love her. His love toward these souls is so great, that He opens His Heart to them. Only that which is pure and most clean enters into God. Indeed, nothing stained can enter His most pure bosom. The soul who possesses purity has within herself the splendor of God which He gave her in creating her. In fact, nothing is defiled in her, and, like a queen, she aspires to the wedding with her king, and she preserves all her splendor until her virginal flower is transplanted into the celestial gardens. It seems that this virginal flower raises itself above others, and even above the Angels themselves. All are taken by esteem and love, so that she may quickly reach her Divine Spouse. The Lord greatly delights in strolling amidst these lilies, which perfume the earth and Heaven. Indeed, He Himself is the first Lily, the model, the exemplar for all the others. It is beautiful – it is wonderful to see a virgin soul; her heart gives one breath alone, only one candor: purity. Her body also becomes a sign of purity. Indeed, everything is pure in her: pure in her steps, pure in operating, pure in speaking, pure in gazing, pure in moving. So, in seeing her, one smells the fragrance of a truly virgin soul. Only into virgin souls does the Lord infuse graces so sublime as to render them worthy of Himself; in fact, these souls are surrounded by the virginal love of Christ. By way of benefits: God lets a rain of benefits pour down upon the creatures, so as to conquer our love for Him. By rendering Himself sympathetic: the Lord renders Himself sympathetic with His pains suffered for love of us unto death on a cross. In fact, only with the cross did He render Himself sympathetic to His very executioners, to His fiercest enemies. By way of persuasion: in order to draw us to Himself and render our love stronger, He left us His most holy examples, His celestial doctrine, which, as light, has dispelled the darkness, and leads us to eternal salvation. God manifests Himself to the soul by power in all His Creation; from the first to the last being, animate and inanimate, His power is manifested. The heavens, the stars, the planets, the galaxies, though their language is mute, manifest the Supreme Being, an Uncreated Being, and His Omnipotence. Though man is endowed with great intelligence, he is unable to create even the tiniest mosquito; and this tells us that there must necessarily exist a most powerful Uncreated Being on whom everything depends – the life and the subsistence of all beings. In clearest notes, all Creation speaks to us of God – one who does not see is willfully blind. Love: the love of God is His Spirit – the Holy Spirit who descends upon us and sanctifies all, and reveals to men the love of the Father. In the “Ecclesia de Eucaristia”, of John Paul II, we find some analogies with the thought of the Servant of God, Luisa Piccarreta, both on the Most Holy Eucharist and on the Holy Mass in Its sacrificial and convivial aspect. In the Holy Mass there is the whole foundation of our sacrosanct religion. The Holy Mass tells us everything and speaks of everything. The Holy Mass reminds us of our redemption, It speaks to us in detail of the pains which Jesus, about two thousand years ago, suffered for us in His human flesh; but, not content with suffering and dying on the Cross, He wanted to continue to suffer even up to this day in His state of victim in the Most Holy Eucharist, manifesting His immense and infinite love for us. The Most Holy Eucharist tells us also that our bodies, reduced to ashes by death, will rise again on the day of the Universal Judgment, together with Christ, already risen, to immortal and glorious life. Among the highest and most sublime Mysteries of our holy religion there are: Jesus in the Sacramental Bread (Eucharist) and the resurrection of our bodies to eternal glory. These Mysteries are incomprehensible to the human mind, as incomprehensible as the Trinitarian Mystery, the Mystery of the Incarnation and the Mystery of the Suffering and Death of Our Lord Jesus Christ. The Eucharist makes us touch these Mysteries with our own hand, and we will comprehend them fully in the next life. We will comprehend the Mystery of His Resurrection and also the Mystery of His annihilation under the Eucharistic species. Even if we do not see Him in His state of Eucharistic annihilation, Jesus is present, alive and real, in that consecrated bread. Once the Most Holy Eucharist is consumed, His sacramental presence no longer exists. When the bread is consecrated again, Jesus is again present in the sacramental form. In this way, Jesus renders Himself present in sacramental form in every place on earth wherever a priest consecrates the species of bread and wine. The Eucharist, when consumed, allows the union of the soul with Jesus for about a quarter of an hour, while when the soul lives the Will of God the spiritual union with Jesus is perpetuated continuously. Therefore, the Will of God, lived in a soul, can be called continuous Communion. As the soul performs her acts in the Will of God, she multiples His grace, His life and His presence in the world, as it happens in the Sacramental Consecration through which Jesus multiplies Himself as many times for as many as are the hosts that are consecrated during Holy Mass. The real presence of Eucharistic Jesus in the various parts of the world is a benefit for the whole of humanity. It is beautiful to think how the Eucharistic Presence, fount of immense good, is present in all the continents. Even if it should be in one place only within a vast territory, the Eucharistic Presence is fount of grace. It is necessary to specify that the Eucharistic Presence needs three elements: the priest, the bread and the wine. Without these elements it is not possible to have the Sacramental Presence. Moreover, Jesus can multiply Himself in all continents, in every place of the earth through all those souls who fulfill and live His Most Holy Will. The Love of God is transmitted through these souls to the whole world. 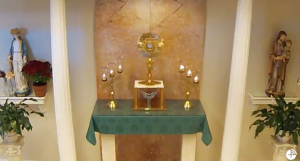 These souls have the task of making up for all those places in which, for lack of bread and wine, or of a priest, the real Eucharistic Presence is not possible. 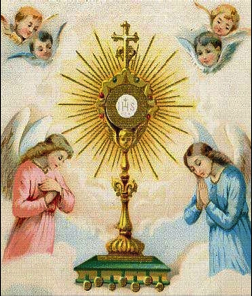 Many times the Love of God, in the Eucharistic species, remains hindered, whether because few are those who receive Him in Holy Communion, or because many are unworthy to receive Him, or because there is no priest to consecrate the bread. Indeed, in these circumstances, the Love of God does not have the possibility to multiply Itself as many times as It would like to, in Its Eucharistic Mystery. Stirred by an unusual ardor, with heartfelt invitation they exclaim: “Stay with us, Lord, for evening is approaching.” Sad men, filled with anguish because of what they had lived on that day. Men, running away, disappointed – they had experienced the destruction of their hopes, their plans had been shattered. A stranger joins them on their aimless journey. But who is this stranger who tries to console them, to give them back their lost hope, melting the hardness of their hearts amidst the shadows of the evening of a day that is setting? This Wayfarer, not recognized from his word, is recognized in the breaking of the bread. Before that bread, miraculously broken, their eyes were opened. The fraction of bread takes a name – “Eucharist” – which becomes the center and fulcrum of the life of the Church, and, through It, Christ renders Himself perennially present. While times flow, He continues to render the mystery of His death and Resurrection present and actual: the Bread come down from Heaven with which the prize of eternal life is given to us, foretasting the eternal celestial banquet: the New Jerusalem. The whole Church, as a community, must reflect on this ineffable Eucharistic mystery, especially in the present, in which She is called to live this inscrutable mystery more intensely. 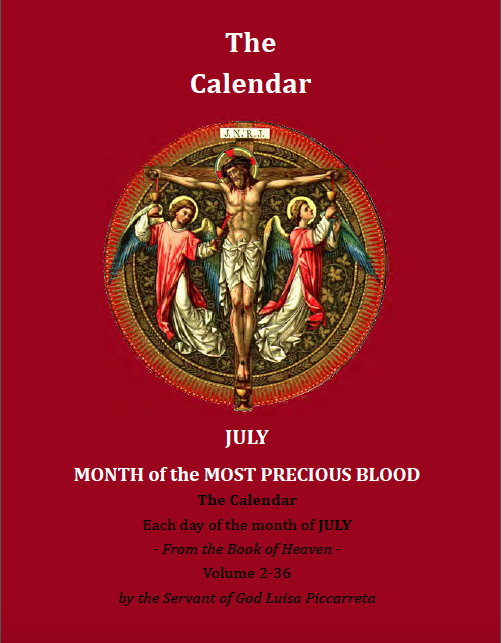 In fact, the Eucharistic mystery constitutes the root and the secret of the spiritual life of the faithful, in its various components: children, youth, spouses, the aged, deacons, presbyters, and all bishops. In the different vicissitudes of the scenario of our times, certainly not a comforting one, in which dark works of violence and of blood are foreseen, which never fail to grieve us, the Church, though suffering atrocious pains in Her own flesh, finds Her vitality in the broken bread of God’s Will, in the Eucharist with which She feeds Herself in order to reinvigorate Her strengths, to be renewed and to walk along new paths traced out by the grace of God. In fact, Christ is at the center of the history of the Church and of the whole of humanity, and, in Christ, Bread that is broken, everything is brought together (Eph 1,10). And Christ, who has become food for man in the bread that is broken, becomes beginning and end of the history of the human generations, focal point of the desires of humanity, the joy of each heart, the fullness of all human aspirations. The Word of God has not only revealed the mystery of the Will of God, but also the mystery of man who, in the Eucharist, finds his identity as son of God. Christ, by incarnating Himself in the most pure womb of the Virgin, continues, in the Eucharist, to offer Himself to humanity as source of life. The apparition at Emmaus focuses on the first Eucharist mystery that must be present in the devotion of the people of God: the Mystery of Light. Jesus Himself defines Himself as the Light of the world (Jn 8, 12). This property of His, while it is displayed in the Transfiguration and Resurrection, in which His Divinity and His glory are openly manifested, is veiled in the Eucharist. In this way, the Eucharistic mystery becomes, par excellence, the mystery of faith. 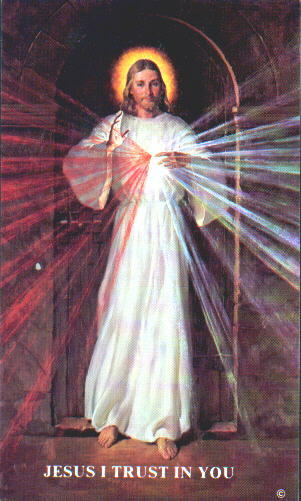 By means of His total hiddenness, Christ makes Himself Mystery of Light and of Grace, through which the believer is introduced into Divine Life. The Eucharist is Light because in the Holy Mass two suppers are prepared: the supper of the Word, and the supper of Bread. This is highlighted in the discourse of Capernaum, in which His mystery as Son of God and the Eucharistic mystery are presented: “My Flesh is real food, and my Blood is real drink” (Jn 6, 55). It was these affirmations that put the disciples and the audience in a difficult position, and in that general dismay, the words of Peter resound: “Lord, to whom should we go? You alone have the words of eternal life” (Jn 6, 68). In the disciples of Emmaus, the word precedes the breaking of the bread: “Stay with us, Lord.” The Church, in Her wisdom, has always wanted the supper of the word to abundantly open for the faithful the treasures of Sacred Scripture. The Christian communities should make a profound examination. In fact, it is not enough to proclaim the word if this does not take place with a prior preparation in devout listening, in silence – necessary elements so that the word may touch the inmost fibers of man. It is significant how the disciples of Emmaus would recognize the Lord in the breaking of the bread after having abundantly listened, during a long way, to His word, which had warmed their hearts. 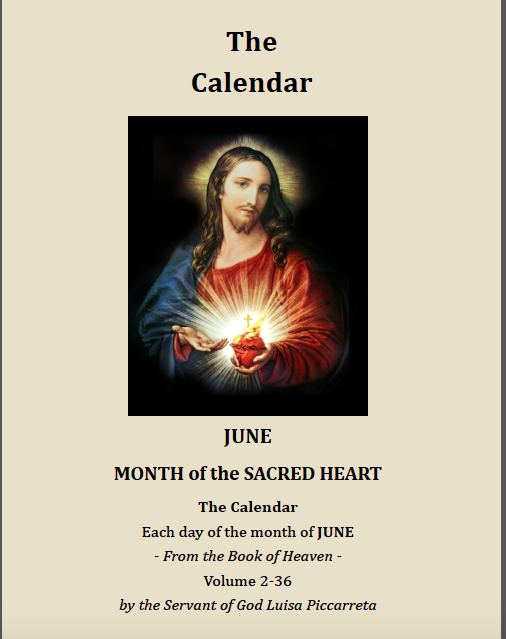 So it happens during the supper of the word: hearts are warmed and opened in the light of the word of God; and the Eucharist takes place in a dynamic context of signs. It is through these signs that the mystery opens itself to the eyes of the believer. In man, there can always be the temptation to reduce the Most Holy Eucharist to his own dimensions, and to his own needs; while it is clear that it is man that must open himself to the dimensions of the Mystery. The Eucharistic Mystery cannot suffer diminutions or ambiguities. One of the Eucharistic dimensions is the banquet. In fact, the Eucharist is born on Holy Thursday, in the context of a supper, therefore It carries in Its structural nature the sense of conviviality: “Take and eat”(Mt. 26, 26); “Take and drink of it, all of you” (Mt. 26, 27). All this expresses the relationship of communion that God has favored and established with men; while we must develop this relationship among ourselves without regard to race or nationality. However, the Eucharist is not only conviviality, but also a profound sacrificial concept. In this Bread, broken and given, Christ presents Himself to His Church as unique and unrepeatable Sacrifice on the summit of Golgotha, even though it is clear that in the broken bread the Risen One is present. 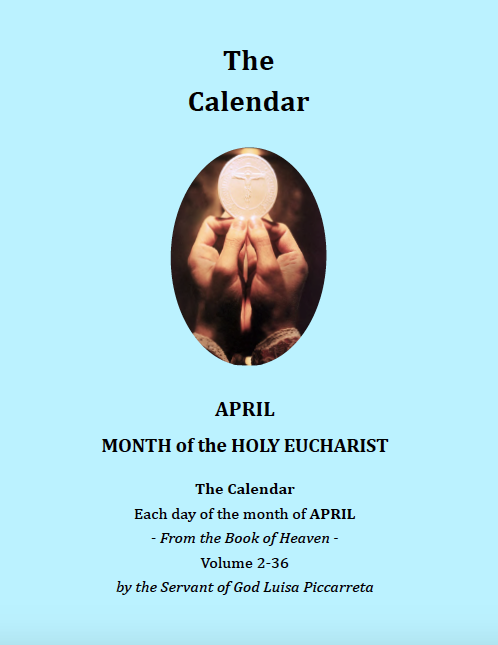 The Eucharist carries the signs of the Passion, which in the Holy Mass becomes a memorial, as the Liturgy exclaims: “We announce your Death, Lord, we proclaim Your Resurrection” (from the Roman Missal). The Eucharist does not exhaust in the conviviality and in the memorial of the Passion, because It actualizes the past, and at the same time It projects us into the future – into the Parusía, at the end of history. This eschatological aspect gives to the Sacrament such a dynamism as to infuse hope into the Christian journey. It is also vital for the Church to develop a Eucharistic cult outside of the Holy Mass, keeping the awareness that one finds oneself before the real presence of Christ. A Christian must witness to this faith with his voice, prayer, gestures, works, movements, silence – with his whole conduct, and it is necessary that the Eucharist be treated with the greatest respect. The presence of Jesus in the Tabernacle must become a pole of attraction for an ever-increasing number of faithful. It is so good to become enamored with Him who encloses in Himself all possible beauty, and to be capable of remaining in adoration for a long time, listening to His voice, feeling His heartbeats. “Taste and see how good the Lord is” (Psalm 33). It is necessary to remain prostrate before the Tabernacle in order to repair, by faith and by our affection, for the transgressions, the neglects and the outrages, our own and of others. One who receives the Eucharist enters into profound communion with Jesus: “Remain in me and I in you.” It is a relationship of reciprocal permanence, and it allows us to somehow anticipate Heaven on earth. This is the greatest yearning of man, which corresponds to God’s plan of salvation. The Eucharist is given to us to satiate us with God on earth, a preparation for the full satisfaction in Heaven. The Eucharist cannot be comprehended and loved outside of the Church, outside of the ecclesial body. The Eucharist is the source of unity, and at the same time It is the greatest manifestation. In the Eucharistic Mystery Jesus builds His Church as communion. The highest measure by which the Eucharist is lived in the holy people of God is expressed in the Liturgy. The attention that the Church directs to the Eucharistic life in celebrating the Holy Mass, which in the ‘Our Father’ implores that the Divine Will be done on earth as It is in Heaven, giving a particular relevance to the Sunday Eucharistic celebration, a most special day, a day of faith, and also to the celebration of the Liturgy of the Hours – lead us to the celebration of the Eucharist. The Liturgy of the Hours, as well as the recitation of the Holy Rosary to the Virgin, with its repetitive flow, constitutes a sort of pedagogy of love, made in order to approach, with heart full of love, the table prepared by the Son of God, the consummation of that bread that is broken and becomes presence of the living God, invading the life of the Church through its sensible aspect – food that nourishes, which brings us to the comprehension of the great Eucharistic mystery, before which Heaven and earth bow down. The Eucharist, therefore, is the summit of the entire way of perfection, because the soul, in carrying out the Divine Will (“Take and eat, all of you” Mt 26, 26) finds the fount of divine graces. The Eucharist is the mystery that never ceases to astound the Church, setting Itself before Her with an attitude ever new, which never ceases to pervade Her spirit. The Eucharist is the incomparable treasure that Christ entrusted to His Church, renewing Her continuously, stimulating celebrations ever more heartfelt and alive, from which a Christian living springs forth that is transformed into love. In fact, The Eucharist comes from the One source, which is the Eternal Will of God – which is One in the Three Divine Persons. If only each soul knew or comprehended the immense good that the cross contains, and how it renders the soul precious, like an inestimable gem that acquires a value ever higher, insofar as the soul accepts the sufferings that the cross entails…. In fact, Our Lord Jesus Christ, leaving the Kingdom of Heaven, comes upon the earth, not in the midst of riches, pleasures and power, but He held as dearest to Him the cross, poverty, suffering and ignominy. The cross renders the soul most beautiful, the cross gives to the soul the most beautiful features that can be found both in Heaven and on earth; and the soul is made so beautiful in her perfection as to enamor God Himself, who contains all beauties within Himself. 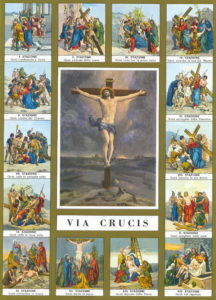 If a soul wants to be full of inestimable riches for all her life, she must take upon her shoulders the cross, which will administer to her all those pains and those sufferings and misunderstandings, that will make her encounter crosses ever more heavy, which will lead her to the summit of perfection. The soul who accepts carrying the cross on her shoulders helps the Redeemer to redeem the world, and all the wickedness of men fall on the cross of that soul, making it heavier and heavier. This cross kisses with the Cross of Christ and becomes light for the people. Many sinners are saved and many souls of Purgatory take flight toward Heaven. How much good these souls do, who, living the Will of God, accept carrying the cross on their shoulders for the conversion of men. 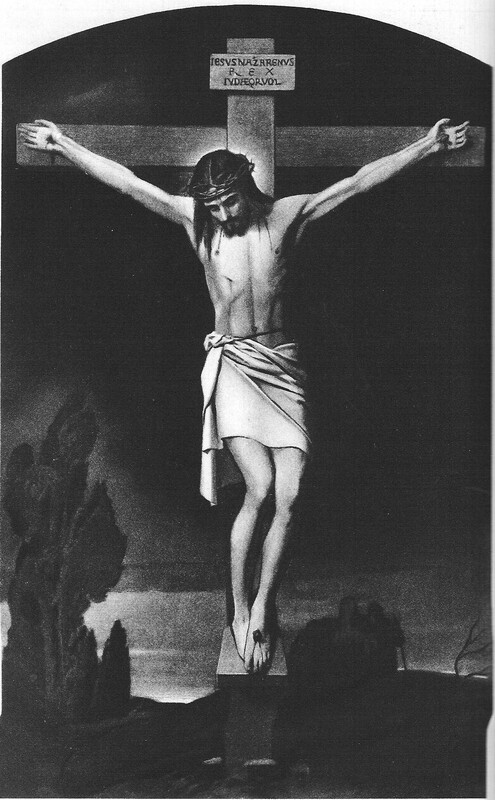 Jesus thus speaks to Luisa: “My daughter, my executioners were able to lacerate my body, insult Me, trample upon Me… but they could touch neither my Will nor my love; these I wanted free, so that, like two currents, they might run and run, without anyone being able to hinder them, pouring Myself out for the good of all, and also of my very enemies. Oh! how my Will and my love triumphed in the midst of my enemies. They would strike Me with scourges, and I would strike their hearts with my love; and with my Will I would chain them. They would prick my head with thorns, and my love would turn on the light in their minds to make Me known. They would open wounds on Me, and my love would heal the wounds of their souls. They gave Me death, and my love gave life back to them; so much so, that as I breathed my last on the Cross, the flames of my love, touching their hearts, forced them to prostrate themselves before Me and to confess Me as true God. Never was I so glorious and triumphant as I was in my pains during the course of my mortal life down here. Finally, Jesus surrounded my neck with His arm and said to me: “Calm yourself, calm yourself, it is I – listen to Me. Don’t you remember that months ago, as you were lamenting to Me for poor Italy, I said to you: ‘My daughter, those who win, lose; those who lose, win’? Italy, France, have already been humiliated, and will no longer be until they are purged and have returned to Me, free independent and peaceful. In the triumph, merely apparent, which they enjoy, they already suffer the greatest of humiliations: not themselves, but a foreigner, not even European, came to drive the enemy away. So, if this could be called a triumph – which it is not – it is of the foreigner. But this is nothing; now, more than ever, they lose more – in moral things, as much as in the temporal – because this will make them dispose themselves to committing greater crimes, to fierce internal revolutions, such as to surpass the very tragedy of the war. And besides, what I told you did not regard only the present times, but also the future, and what will not happen now, will happen then. And if anyone will raise difficulties and doubts, it means that he knows little about my way of speaking. My speaking is eternal, as I am. The Cross is so powerful as to render the soul more disposed to receive the Sacraments; in fact, in order to receive them, especially the Eucharist, the appropriate dispositions and free concourse of the soul are needed. With the Cross, the soul predisposes herself to receive the graces of God that she may lack; the Cross has the virtue of disposing the soul to grace, and of rendering her worthy of the Sacraments which, well received, realize that journey which leads us to the embrace of God. The ‘I love you’ of God and of the creatures. If the Lord says to the soul, ‘I love you’, she must respond with another ‘I love You’, so that the great ‘I LOVE YOU’ may lean on the little ‘I love You’ of the creatures, which is flung into the immensity of the Divine Fiat. The creature thus becomes the object of the love of everyone and of everything. In fact, the ‘I love you’ of the creatures expands over all Creation and over all humanity. God is immensity and He delights in giving and in receiving from creatures His immense Love, giving, at the same time, all the harmonies and the manifold notes of beauty, of greatness, of light, which enchant and enrapture the hearts of creatures, and enrapture also the Heart of God. The Will of God loves the heavens, the sun, the Creation, the Angels, the Saints, and all must love with a love similar to that of God, received from Him and glorified by Him. Therefore, upon the wings of the Divine Will, the ‘I LOVE YOU’ of God is sent to all Creation, visible and invisible, so that all may love together with Him. If one loves, it is because one wants to be loved. Not being requited in love is the most excruciating suffering. Only the love of God, being requited, produces happiness. For one who lives in the Divine Will there unfolds a supreme accord of love. In fact, the Will of God, possessing the life of the creatures by their own free choice, multiplies to infinity Its Love in them. The joys, the happinesses of this Divine Love reign in the soul and glorify her. The paternal Love of God is so sensitive toward one who lives His Will, as to number all the breaths, the heartbeats, the thoughts, the words, the movements of the creature; and the graces that are poured into her are such and so many as to astonish Heaven and earth. All this was fully accomplished in the Mother of God, Mary Most Holy. Mary, Mother of God, lived fully the life of the Divine Fiat, and loved God and creatures with the same love. 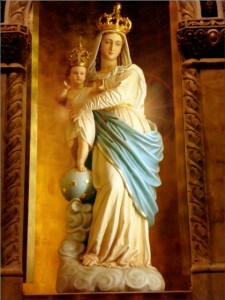 The love of God for this Creature – more celestial than terrestrial – is so great, as to render Her the Heiress of the Will of God; and when this Kingdom of the Divine Will will have complete fulfillment on earth as in Heaven, the Holy Virgin will call all Her children to possess this immense and infinite inheritance, and they will surround Her like a crown, forming angelic choruses with all the Saints who have lived in Her inheritance, whom She will welcome into Heaven, after having formed them on earth. This will form the fulfillment of the work of God in Creation, because the plan of God will be realized in the creatures, by virtue of the Virgin of Nazareth, His Mother, who was able to live the Will of God and bow before It. This Celestial Heiress, living the Will of God within Herself, transmitted this gift to all the creatures who would freely accept it. Mary, by transmitting the Kingdom of the Divine Will to men, expresses Her great love toward all creatures, so much so, as to become their Mother and Queen. Mary, having become the faithful copy of Her Creator, watches over the treasures of grace received from God, in sanctity, in beauty and in light, and She pours them over the creatures, so that they may possess what She possesses. Mary is the Mother of all, and She does not want to see Her children poor in divine graces, while She is immensely rich; therefore She continuously hastens to call men not to sin against God, exhorting them to live His Will, which alone can lead them into a Kingdom of peace and of happiness. Mary prays incessantly and places all Her merits as Mother of God and as Spouse of the Holy Spirit in prayer, in order to impetrate from God the Kingdom of the Divine Will among men. The love of this Celestial Mother is insuperable, and only in Heaven will we be able to know how many loving cares She has poured upon souls. As soon as She was conceived, the Virgin Mary began the movement of the grace of God toward humanity, because it is clear that the Virgin, from Her very conception, inherited the Divine Will, which took possession of Her person. In fact, in each heartbeat, thought, breath of this Creature, the creative power of God made itself present, so much so, as to form in the Virgin the greatest prodigies of sanctity, of beauty, and of grace. The life of this Celestial Creature proceeded from Her existing together with the Will of God. The love of God rejoiced, and celebrated this Creature, who came out into the light of time as Heiress of the Divine Will. In Her, God felt His own breath, His own heartbeat, His own ardent Love toward men. Mary became all of God, She who would bring Redemption into the world by generating the Incarnate Word. Mary is “Privileged Instrument” of God, so much so, as to draw upon Herself immense grace, beauty, and the power of God. The humanity of Mary keeps the whole human family bound to Her, almost like members of Her body. This is a guarantee that the Kingdom of the Will of God must come upon earth, because She who inherited It already exists: a Creature who belongs to the human race. The prodigies that the Will of God performed in this Creature are unheard-of. In fact, through this Virgin and Mother, many souls, burned by passions and by sin, feel the freshness of this Divine Dew upon them, and they convert to good. Mother’s Day is the most beautiful and sublime feast, the greatest one, in which each man remains glorified, loved, and honored. The Feast of the Mother of God honors Heaven and earth, which are invested with a singular joy, never before felt. In fact, the Angels and the Saints experience new joys and new happinesses in contemplating this Mother, who is in Herself the pride of humanity and of Heaven. This Mother, more celestial than terrestrial, extends Her empire of love over everyone, and gives joy to all. It is the Divine Will, for the first time operating in a creature [since the Fall], that is celebrated in the Mother of God; therefore Mary becomes Queen and Lady. In fact, even in Her breathing and in Her motion can be seen the lives of all flowing within Her acts, which, like refulgent suns, inundate Her, surround Her, embellish Her, and render Her so beautiful as to form the enchantment of Heaven. Through Her acts, lived in the Divine Will, all human acts participate in the plan of Redemption operated by Her beloved Son. This is the great prodigy accomplished in Her by the Divine Will. It is the Divine Fiat, lived in Her, that accomplishes the prodigy of transforming human miseries into seas of love, of beauty, of power and of infinite wisdom; so much so, that it can be said that that there is no place in Creation in which seas of Divine Love do not flow by means of this Celestial Mother, who embraces everything with a love that knows no respite. It can be said that this Celestial Mother rules over the Divinity, and at the same time is ruled by It. In fact, clothing Herself with divine immensity, She renders to her Creator the homage due from the human generations, so that creatures may rediscover the love of the Creator and turn to Him in praise and thanksgiving. Creatures become disposed to receive the Divine Life that She possesses and gives. 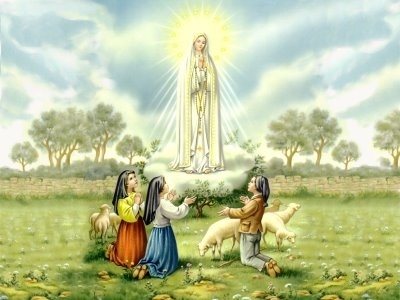 This Mother is a continuous prodigy; all that She did on earth She continues to do in Heaven, because one who operates in the Will of God performs acts that have no end: they are like the sun that never ceases giving its light. The sun gives much light to all the generations, but it is never obscured, never impoverished; it is always rich in its light and in its heat, without ever losing anything. The glory of the Celestial Mother is insuperable because She possesses the Will of God which, accepted by creatures, can form eternal and infinite acts. Her Heart loves us with the same love of God and projects into Heaven the love of creatures, purified by Hers. God loves this Creature so much, that it can be said that He cannot be without loving Her, and it is through this Divine Love in Her that all men are loved. This most beautiful Woman, Queen, and Lady is so great, as to attract the Heart of Her Creator. The very Angels feel mute before such a prodigy, before so much greatness, which the Heavens cannot contain. The Holy Spirit is an immense sea of Eternal Love, in the middle of which took place the conception of the Most Holy Virgin, Elect among the elect. The Divinity administered in this Creature the event of Her conception, and being the center of life of this marvelous and admirable Creature, It surrounded Her with the immense and eternal sea of the Love of God, not only to defend Her from all that could harm Her soul, but also to give continuously, to this Creature, beauty, graces, power, wisdom, love and privileges, so that this little human nature could be conceived in the center of the Eternal Love of God. 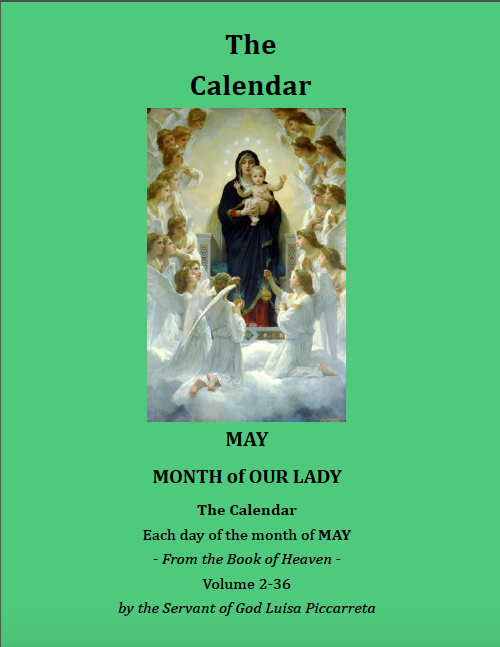 Mary was formed and grew under the continuous influence of the power of the Eternal Love of God. Singularly, as a unique case, from Her very conception She received the use of reason, and Her Creator endowed Her with all the knowledges and made known to Her the joys and the sorrows of Creation; from the very maternal womb, She lived in the loving arms of God. Mary, privileged Creature, was enriched with all the divine qualities, and She would fling Herself toward God without concern, without fear, because only sin puts distance between Creator and creatures, and breaking the love, it makes one lose trust and it strikes fear. The Lord constituted this Creature, Daughter of man, as Queen of Heaven and earth. The Creation rejoiced because She gave to It all the honor and glory which God had conferred to It in creation. Only the infernal forces cried because they could hold no dominion over this singular and glorious Creature. The first act that this Celestial Creature did was to bind Her will to the foot of the Throne of the Most High, without even wanting to know it, because She had seen, by divine revelation, the immense evil that the human will had done. By doing so, the Will of God bound Itself to Her, creating a sublime symphony of love between the creature and the Creator, so much so, as to make all the treasures of His graces flow within Her. In freely laying down Her will at God’s feet, Mary did the most beautiful, the greatest and most heroic act that a human creature could do; and God elected Her Queen of everything and of everyone. Mary offered Herself to God, at the cost of any sacrifice, for love of humanity. She wanted to render back to God all the honor and the glory of Creation, which man had taken away from Him by doing his own will. From the very maternal womb, Mary cried for love of man who had offended God; She cried out of sorrow for that guilty man, who had plunged the whole of humanity into sin. Certainly, these innocent tears softened the Heart of God and hastened the longed-for Redemption. All the merits and all the graces with which God had filled Her were continuously projected toward Her Creator, drawing upon Her, and from Her onto mankind, more immense graces, because God Himself could not resist Her supplications. 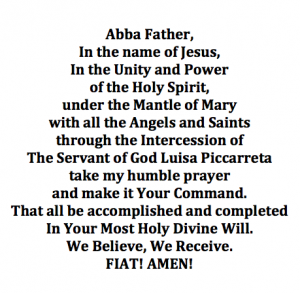 But She derived this power from the power of the Fiat that acted in Her, that lived in Her. The Divine Volition had become Her life, dominating Her; therefore She possessed the power and the sanctity God’s own Will, which She continuously raised back toward Him. For this reason, God could not resist this innocent Creature who was possessed by the power and sanctity of His Volition. Indeed, God could not remain deaf to Her – it would have been like resisting His own Self. God saw in Her His divine qualities, and, like tumultuous waves, the reflections of the way of operating of God, of His love and power, poured into Her; so, the Will of God, which was the center of Her life, attracted all the reflections of the divine qualities, forming the crown and defense of the Divinity that dwelled in Her. If the Most Holy Immaculate Virgin had not had the Divine Will as Her center, all the other prerogatives and privileges with which She was so enriched would have been as nothing. It was the Divine Will, living in Her, that preserved, confirmed, expanded and multiplied continuously all the privileges and graces of God. And only because of this did the humble Little Girl of Nazareth become Queen of Heaven and earth. Mary, freely, never gave space to Her human will, and the Will of God remained always whole in Her. 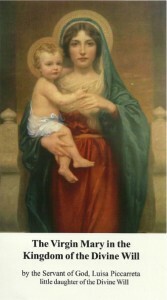 The first act that this noble Creature did in coming out of the maternal womb was to gather all the love that God had spread throughout Creation and pronounce Her ‘thank You’ in the name of all; and She continually prayed God, with tears and moans, that He would let the Eternal Word descend upon earth in order to save Her brothers and children. With the Divine Will dwelling in Her, the earth was no longer estranged from God; Justice turned into graces, and the Eternal Word hastened His course. The first King of sorrows and of anguishes was Our Lord, since, being Man and God, He was to enclose within Himself all possible pains that man could suffer, in order to have primacy over all. 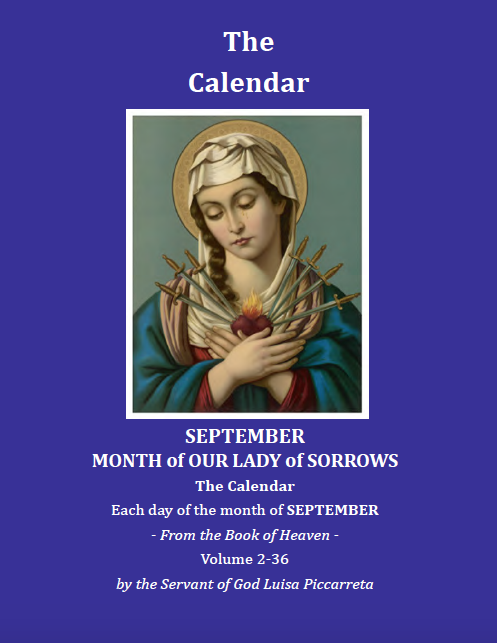 The sorrows and tears of the Queen of Heaven were nothing other than the reverberations of the pains of Christ, Her Beloved Son, who reflected in Her the participation in all His pains, which transfixed Her, filled Her with bitterness and with sorrow; so much so, that She would feel Herself dying at each participation in them. But love would sustain Her and give Her life again; and because of this, not only for honor, but by right, She was the first Queen of the immense sea of the pains of Her Son. Mary, therefore, contained all the pains of Jesus, and Her Heart participated in the passions of the pierced Heart of Her Son. These sorrows formed the swords that pierced the Heart of Mary through and through, and were marked by a Fiat of most refulgent light, giving Her so much glory as to astonish Heaven and earth. It was not the sorrows that constituted Mary as Queen of Heaven and earth, but the Omnipotent Fiat of God, with which She braided Her every act and sorrow, so that the Supreme Fiat might be the prime act that formed the swords which pierced Her Heart. Indeed, the Fiat of God could place in that human Heart piercings upon piercings, sorrows upon sorrows, without finding the slightest resistance. On the contrary, this Celestial Creature felt honored that the Divine Fiat would constitute Her very life; and the Will of God adorned Her with all possible glory for a created being, constituting Her Queen. “Beloved daughter of my Will, you must know that when I want to do great works – works in which the whole human family is to take part, always if it wants, my usual way is to centralize all the goods and all the graces which this work contains in one single creature, so that all others may draw as much as they want of that good, as though from a fount. When I do individual works, I give limited things, but when I do works which must serve the good of all, I give things without limit. I did this in the work of Redemption. In order to be able to elevate a creature to conceiving a Man and God, I had to centralize all possible and imaginable goods in Her. I had to elevate Her so high as to place in Her the seed of the very Paternal fecundity. So, just as my Celestial Father, virgin, generated Me within His womb with the virginal seed of His eternal fecundity, without the work of a woman, and from the same seed the Holy Spirit proceeded – in the same way, with this eternal seed of the Paternal fecundity, wholly virginal, my Celestial Mama conceived Me in Her virginal womb, without the work of a man. The Sacrosanct Trinity had to give of Its own to this Divine Virgin so that She might conceive Me, the Son of God. My Holy Mama could never have conceived Me without having a seed. Now, since She belonged to the human race, this seed of eternal fecundity gave Her the virtue of conceiving Me as Man; and because the seed was divine, at the same time She conceived Me as God. And just as the Holy Spirit proceeded at the same time as the Father generated Me, in the same way, as I was generated in the womb of my Mama, the generation of souls proceeded at the same time. So, everything that ab æterno [from eternity] occurred to the Most Holy Trinity in Heaven, was repeated in the womb of my dear Mama. The work was immense and incalculable to created mind. I had to centralize all goods, and even Myself, so that all might find whatever they wanted. This is why, since the work of Redemption was to be so great as to overwhelm all generations, I wanted for many centuries the prayers, the sighs, the tears, the penances of so many patriarchs and prophets, and of the whole people of the Old Testament. And I did this in order to dispose them to receive a good so great, and to move Me to centralize in this celestial creature all the goods which everyone was to enjoy. Now, what moved this people to pray, to sigh, etc.? The promise of the future Messiah. This promise was like the seed of so many supplications and tears; had there not been this promise, no one would have given it a thought, no one would have hoped for salvation. Now, my daughter, let’s come to my Will. Do you think it is a Sanctity like the other sanctities? A good, a grace, almost like the others which I have given for many centuries to the other Saints and to the whole Church? No, no! This is about a new era – about a good which must serve all generations; but it is necessary that I first centralize all this good in one creature alone, just as I did in Redemption by centralizing everything in my Mama. Take a look at how things proceed in a parallel way: in order to make Redemption come and to dispose souls for It, I made the promise of the future Messiah, so that, by hoping for Him to come, they would not only dispose themselves, but find, they too, their own salvation in the future Redeemer. Now, in order to dispose souls to live in my Will, to let them partake in the goods It contains, and to make man return to the path of his origin, just as he was created by Me, I Myself wanted to pray as the first, making my voice resound from one end of the earth to another, and even up high in Heaven, saying: ‘Our Father, who art in Heaven’. I did not say ‘My Father’, but I called Him Father of the whole human family, so as to engage Him in that which I was going to add: ‘May all hallow your Name, so that your Kingdom may come, and your Will be done on earth as It is in Heaven’. This was the purpose of Creation, and I asked the Father that it be fulfilled. As I prayed, the Father surrendered to my supplications, and I formed the seed of a good so great; and so that this seed might be known, I taught my prayer to the Apostles, and they transmitted it to the whole Church, so that, just as the people of the future Redeemer found salvation in Him and disposed itself to receive the promised Messiah, in the same way, with this seed formed by Me, the Church might pray and repeat my very prayer many times, and might dispose Herself to receive the good of recognizing and loving my Celestial Father as their Father, in such a way as to deserve to be loved as children and receive the great good that my Will be done on earth as It is in Heaven. In this seed and in this hope that my Will be done on earth as It is in Heaven, the very Saints have formed their sanctity, and the martyrs have shed their blood. There is no good which does not derive from this seed. So, the whole Church prays; and just as the tears, the penances, the prayers to obtain the Messiah were directed toward that excelling Virgin whom I was to dispose in order to centralize such a great good in Her, so that they might receive their Savior, even though they did not know whom She would be – in the same way, now, when the Church recites the ‘Our Father’, it is precisely for youthat She prays, so that I may centralize in you all the good that my Will contains, the ‘way’ – the ‘how’ the Divine Will may have life on earth as It does in Heaven. And even though you are not known, by echoing my prayer, ‘Thy Will be done on earth as It is in Heaven’, the Church prays Me, presses Me to centralize all this good in a second virgin, so that, like a second savior, she may save unsafe humanity; and making use of my inseparable love and mercy, I may answer my own prayer, united to that of the whole Church, making man come back to his origin, to the purpose for which I created him – that my Will be done on earth as It is in Heaven. This is precisely the living in my Will; and everything I keep manifesting to you pushes you to this, confirms you in this. This is the great foundation I keep forming in your soul; and in order to do this, I keep centralizing in you all the graces, past, present and future, which I have given to all generations. Even more, I double them, I multiply them, because since my Will is the greatest, the holiest, the noblest thing, which has no beginning and no end, in order to place It in one creature, it is right and decorous that I centralize in her all possible goods, innumerable graces, divine purity and nobility, so that this Will of Mine may have the same cortege It has in Heaven. It is the same Will that operated in Redemption, and wanted to make use of a Virgin. What portents and prodigies of graces did It not work in Her? My Will is great, It contains all goods, and in operating, It acts with magnanimity; and if it is about doing works and doing good for all humanity, then It puts all of Its goods at stake. The greater is the work that the Lord wants to accomplish, the more it is surrounded by silence and by hiddenness, carrying it out in the humblest creatures. “My daughter, the greater the work I want to do, the more necessary it is that the creature I choose be unique and singular. 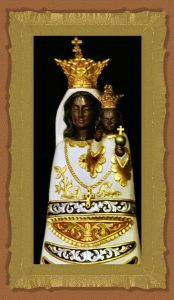 The work of Redemption was the greatest, and I chose only one creature, endowing Her with all gifts, never conceded to anyone, so that this creature might contain so much grace as to be able to become my Mother, and so that I might deposit in Her all the goods of Redemption. And in order to keep my own gifts safe, from the moment She was conceived until She conceived Me, I kept Her hidden in the light of the Most Holy Trinity, which was Her custodian and had the office of directing Her in everything. Then, when I was conceived in Her virginal womb, being the true Priest and the head and the first of all priests, I Myself took on the charge of keeping Her and directing Her in everything, even in the motion of Her heartbeat. And when I died, I entrusted Her to another priest – Saint John. 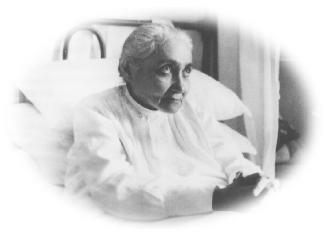 A soul so privileged, who contained all graces, unique in the divine mind, unique in history – I did not want to leave Her without the assistance of a representative of mine up to Her last breath. Have I perhaps done this with other souls? No, because they did not contain so much good, so many gifts and graces, and therefore so much custody and assistance was not necessary. Now, my daughter, you too are unique in my mind, and will also be unique in history. There will not be, either before or after you, another creature for whom I will dispose, as though forced by necessity, the assistance of my ministers. Having chosen you in order to deposit in you the sanctity, the goods, the effects and the attitude of my Supreme Will, it was appropriate, just and decorous for the very sanctity that my Will contains, that one of my ministers should assist you, and be the first depository of the goods which my Will contains, so as to let them pass from his lap into the whole body of the Church. What great attention is required of you, and of them! : of you, in receiving from Me, like a second mother to Me, the great gift of my Will, and in knowing all Its qualities; of them, in receiving them from you, so that the ‘Fiat Voluntas Tua on earth as It is in Heaven’ may be fulfilled in my Church. Ah! you do not know how much I had to give you to dispose your capacity, so that I might deposit my Will in you. I removed from you any seed of corruption; I purified your soul, your very nature, in such a way that neither do you feel anything for them, nor do they for you, because, since the seed is missing, it is as if fire were missing to firewood. And even though I did not exempt you from original sin, as I did with my dear Mother, by removing from you the seed of corruption I worked another prodigy of grace, never conceded to anyone else, because it was not decorous for my Will, trice holy, to descend into and take possession of a soul which would be shaded, even slightly, by the slightest corrupted breath. My Will would not have adapted Itself to taking possession of her, to communicating Its attitude to her, had It seen any seed of corruption in her, just as I, Word of the Father, would not have adapted Myself to being conceived in the womb of the Celestial Mama, had I not exempted Her from original sin. And then, how many graces have I not given you? You think it is nothing, and therefore you give it no thought; and instead of thanking Me, you occupy yourself with thinking about what I have disposed for you, and about those I have placed around you – while I want that you only follow my Will. You must know that this fulfillment of my Will is so great as to be numbered among the greatest works which the Divinity has operated. And I want It to be known, so that in knowing Its greatness and the immense goods It contains, they may love It, esteem It and desire It. Three times did the Supreme Divinity decide to operate ‘ad extra’. The first was in Creation, and it was without the intervention of the creature, since none of them had yet come out to the light of the day. The second was in Redemption, and with it intervened a woman, the holiest, the most beautiful – my Celestial Mama. She was the channel and the instrument I used in order to fulfill the work of Redemption. The third is the fulfillment of my Will to be done on earth as It is in Heaven – that is, for the creature to live and operate with the sanctity and the power of Our Will; a work inseparable from Creation and Redemption, just as the Sacrosanct Trinity is inseparable. Nor can We say that the work of Creation has been completed by Us, if Our Will, as We decreed, does not act in the creature and live with that freedom, sanctity and power with which It operates and lives in Us. Even more, this is the most beautiful point, the highest, the brightest, and the seal of the fulfillment of the work of Creation and Redemption. 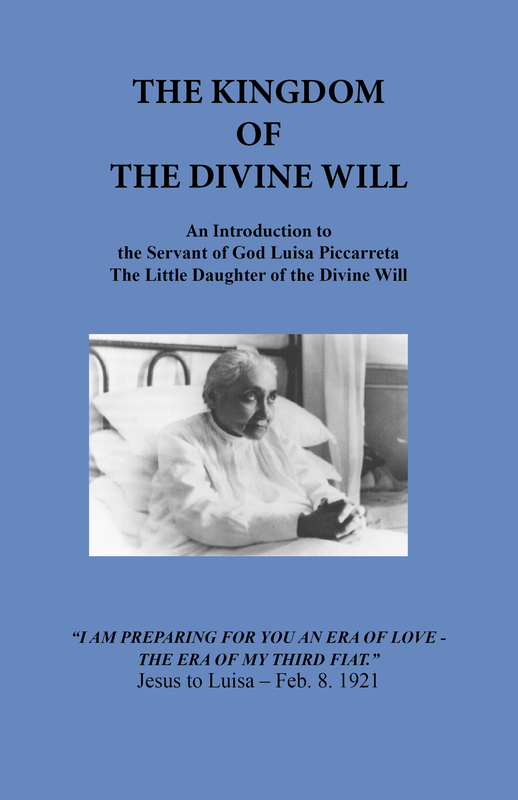 I close these, my personal reflections on a few passages from the writings of the Servant of God, Luisa Piccarreta, by mentioning two more of them, taken from Volume 3 (Nov. 1, 1899, and July 16, 1900). From these two short passages shine the Justice and Mercy of God, and the role of the Holy Father as guide of humanity; even though there is a sad note concerning the general civil and religious environment. 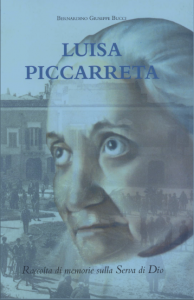 In looking at the most sad state of degradation of humanity, Luisa Piccarreta accepts to be victim, so that she may give some relief to that suffering humanity. This degradation, Luisa says, will end when the greatest triumph of the Church and of Peace shall arise. Luisa, then, will be the victim of the Divine Will so that this event may be realized. The Servant of God sees in her visions the figure of the Pope, who finds himself on top of a pillar that sustains the Church. The Pontiff is gazed upon by Luisa with great love and affection; in fact, she sees him surrounded with light that is projected from his person onto everyone, like luminous rays. The Pope does everything he can in order to sustain that wavering pillar, and he tries to bind to himself and to illumine all the people who dwell under it, even though someone, to his great sorrow, eludes him. In this prophetic vision, it is gratifying to observe the highest mission of the Supreme Pontiff as guide and master of humanity, which he seeks to lead to God, chaining it with his rays of light. 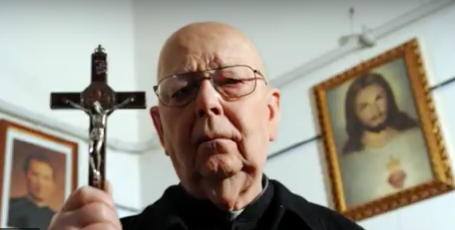 And it is here that the Lord calls Luisa, to ask her whether she too wants to be a prop, in order to sustain, with the Holy Father, this unstable pillar. In receiving the keys of Justice, Luisa found herself in the midst of a light, and looking from within it, she saw all the Attributes of God, and also that of Justice. Everything was ordered in God, and she understood that if Justice punishes, that in itself is the expression of an order; and if the Lord were not to give course to His Justice, everything would remain disordered. The Servant of God, looking at her own misery, felt like a worm in the midst of that light, and she understood that if she had prevented the course of Justice, she would have created a terrible disorder among the Attributes of God, and she would have gone against those very men whom she wanted to subtract from Justice. She understood that the Justice of God is most pure love toward men. During the time of the passages mentioned above, the reigning Pontiff was Leo XIII, the great Pope of the “Rerum Novarum.” It would be hard to separate this mystical vision from the prophecy that is projected into the future, and is easily applicable to all the Pontiffs of the twentieth century: most holy men whom the Lord has given as gifts to the His Church, most luminous guides, in spite of all the tragedies that have happened. After Leo XIII, Pope Saint Pius X, the intrepid defender of the Faith, rose to the Chair of Peter, with his motto: “Restaurare Omnia in Cristo.” He was succeeded by Benedict XV, angel of peace in the tragedy of the First World War, which he denounced to the world as “useless massacre”, admonishing the belligerents. Pius XI, who, with vigor, presents again to the world the royal figure of Christ: “The only One who can restore true peace.” Pius XII, the angelic Shepherd, the angel who seeks to console and to save those whom the human malice sacrificed to diabolic ideologies, in the tragedy of the Second World War. He is the Pope who cries out to the belligerents to stop the hostilities: “…because all is lost with the war.” Blessed John XXIII who, with his action, reflects a universal paternity; he is the Pontiff of the Council that brings a great renewal into the Church. Paul VI, the great Pontiff who strives to realize unity in the Church, becoming a pilgrim on the streets of the world. John Paul II, successor to John Paul I, who closes the twentieth century with a very long pontificate. John Paul II is the Pontiff who will be counted among the great of history, for his most holy life, for his monolithic faith, for his motto: “Totus Tuus” – the great lover of Mary Most Holy, Mother of God; the Pope of the youth of the world, who on the day of his funeral proclaimed him a saint – memorable days, never encountered within living memory. The world bowed before the Pope who, even in his suffering, was luminous light of faith for all, and example for those who suffer physically and morally. In him the world has seen not only sanctity, but the Christ suffering and glorified. Well then, the vision that Luisa had of the Roman Pontiff has been fully realized, and will certainly continue in the Holy Church of God. I hope that these reflections of mine may bring further contribution to the diffusion and knowledge of the Servant of God, Luisa Piccarreta. Much ground has been covered, although much more is yet to be done. 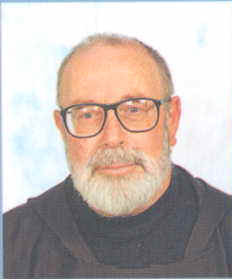 During the 1980’s, urged by Monsignor Carata, Archbishop of Trani, I published my first small biography of the Servant of God, which had an enormous diffusion, as it made known to all the origins and the places where the Servant of God lived, with unpublished material gathered from the people who had known the Servant of God in person. The Archbishop Msgr. 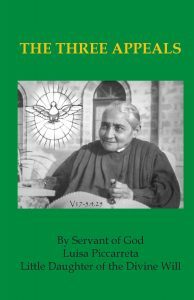 Carata, of venerated and holy memory, spurred me on and encouraged me continuously to work for the diffusion of the Servant of God – so venerated by him, from the time when he was a seminarian at the regional seminary of Molfetta – entrusting to me most delicate missions at the Roman Tribunals. After the first biography, two more followed with the collection of memories, editions that were completely exhausted, and were then followed by my personal reflections. 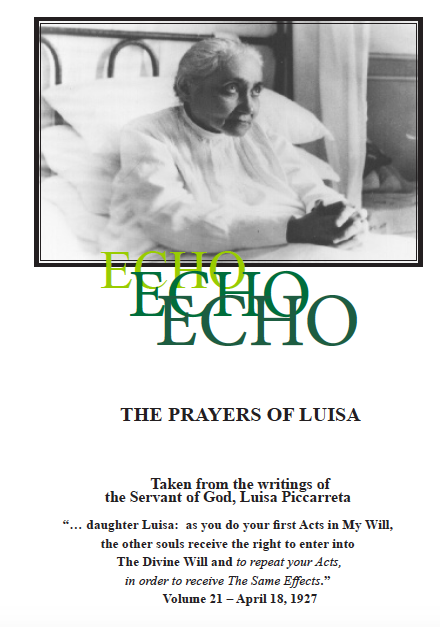 With this second volume of my reflections I intend to make known everything that regards the Servant of God, with a sound discernment of all the material that was patiently gathered by all those who knew Luisa ‘la Santa’. To this work I was encouraged by the Prefect of the Congregation of the Saints, Cardinal Palazzini, with whom I have had several conversations. The Most Eminent Cardinal received me with joy, and wanted to hear detailed accounts about Luisa Piccarreta, whom he called “the dear Luisa.” The Cardinal had come to know about Luisa Piccarreta through Cardinal Cento, who had been a “disciple” of Luisa, with whom he was in communication, and would not miss visiting her every time he came back to Italy. I hope that the Lord will give me the possibility to continue in my work for the diffusion of the Servant of God, and to see her raised to the honors of the altars. “To pray, to work, to suffer, to console, to counsel, to instruct, to illumine minds, to warm hearts, to transform souls. Her little bed turned into a marvelous cathedra, from which, with wisdom and divine unction, she spoke and intimately changed souls. Not few left her little room visibly changed, stupefied, moved, and ready to be purified with a holy Confession. Fr. Benedetto Calvi, Pastor of the Parish of Santa Maria Greca, confessor of the Servant of God, appointed by the Bishop, during the last period of her life (about twenty years); priest of holy life, loved and respected by all; he knew in depth the person and also the spirituality of Luisa. He was also the spiritual father of all those people who visited frequently the house of Luisa. He followed all the events, very painful ones, which took place during the last years of her life, suffering, himself personally, because of all the oppositions around Luisa. I myself have seen him come to our home to consult with my mother on the grammatical correction of some of Luisa’s writings, which he then published; and I also saw him cry in front of my mother, when the writings published by him were placed on the Index. It would be auspicable for this marvelous figure of priest to become known. The doctrine on the Most Holy Trinity that Luisa Piccarreta expresses in this passage is perfect, and in line with the doctrine of the Church. She speaks of the Father, of the Son and of the Holy Spirit – the Three Divine Persons, distinct but not separated, without confusion, deriving from one single eternal beginning. Indeed, the simile of the sun also reflects the environment in which Luisa Piccarreta lived – “Puglia”, and precisely the area of “Murgie”, hilly, sunny, rocky. And this land reflects the character of its inhabitants, who live a strong and robust Faith, if not rustic at times. Moreover, Luisa had the gift of being able to look at the sun, in which she saw an image of the Divinity, without receiving any harm to her eyes. It would not be appropriate to make comparisons with the ancient fathers who, in some way, have spoken about God using the symbolism of the sun, because Luisa Piccarreta never read the writings of the fathers of the Church. One must always consider that she was illiterate, and this is precisely what causes our amazement. Likewise, it is certainly inappropriate to compare Luisa to other mystics or the various theological systems that arose from the doctors of the Church, like St. Thomas, St. John of the Cross, to mention some of them. Indeed, one could incur into incorrect or ambiguous interpretations. The Servant of God never knew any mystic or theologian; she only possessed two books – those of Fr. Leone, Servant of God from Trinitapoli, who, maybe, since he knew her, sent her his publications. However, I don’t know whether she ever read them, since one of the two books looked still unopened, as the pages had not yet been separated. These book had been given to me by aunt Rosaria: one was dated 1885, the other 1902. But after I lent them to a parishioner of mine, who had insistently requested them, and who at that time was interested in the cause of beatification of the Servant of God, Fr. Leone, in order to be able to do some studies, they were never given back to me in spite of my insistence. These books have an historical value and constitute a relic, having gone through the hands of two saints. It was not given to me to know what relationship passed between Fr. Giuseppe Maria Leone and Luisa Piccarreta. Aunt Rosaria was unable to say anything on this regard, given her tender age at the time of the death of the reverend father (1902). She only said that those books had belonged to Luisa. Resuming the discourse on the limited education of the Servant of God, her mysticism could have only some remote similarities with the mystics, men and women, of the Franciscan order, especially when she speaks about the love and the mercy of God. Some similar ideas, especially in the doctrine of the love of God toward men, I have found in reading the writings of Saint Veronica Giuliani. The leading exponent of this mysticism is, indeed, St. Bonaventure, doctor of the Church. But all this is always a forced comparison, since Luisa Piccarreta is unique in her mystical experiences and cannot be compared to others. Luisa exalts with a hymn the virtue of humility, stressing how humility is capable of drawing upon itself the grace of God (Vol. 3, January 12, 1900). 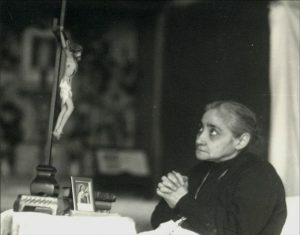 The Servant of God, Luisa Piccarreta participated daily in Holy Mass, which was celebrated in her little room by her confessor, or by other appointed priests. It is precisely in the Holy Mass that Luisa would be enriched with all that energy that rendered her strong, both in her daily work and in writing down her mystical experiences, in obedience to the strict command of her confessor, appointed by the Bishop. 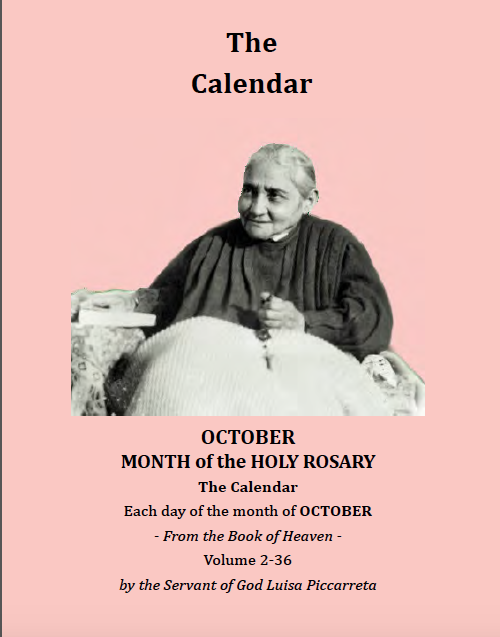 The privilege of having Holy Mass celebrated daily in her room was conceded by Pope Leo XIII, and confirmed permanently by Pope St. Pious X, who knew Luisa Piccarreta through St. Hannibal Mary Di Francia, who had submitted some of the writings of Luisa to the Holy Pontiff, among which “The Hours of the Passion”, published by venerable Father Hannibal. In one who lives the Will of God, Jesus is always mystically present. It is the silent crafting of grace within souls that performs this prodigy; and under the verification and guarantee of priestly authority, these souls become most pure air that oxygenates the lungs of the Holy Church of God. One who accepts the Will of God seas clearly that His ways are different from our ways. 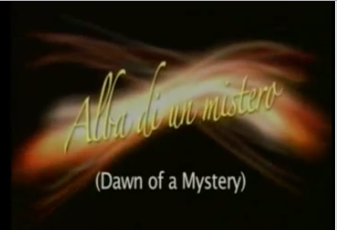 A mystery that comes from the Eternal Will of God. It is interesting to study in depth the prophecies of Luisa Piccarreta with regard to the wars and the infinite violences that are still being perpetrated. Christ, by fulfilling the Will of the Father, is always at the center of all perfection. In this way, Christ actualizes in time the Eternal Will of the Father. Always by the free acceptance of His Will on the part of man (Luisa Piccarreta). The light is one of the symbols or signs dearest to Luisa Piccarreta. This is reflected in the thought of Luisa Piccarreta, when she says how it is God’s way of operating for Him to perform His greatest works in silence, without clamor. 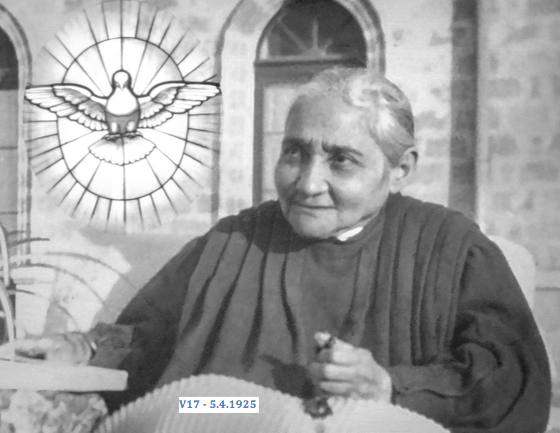 On this regard, the Servant of God, Luisa Piccarreta is teacher of Eucharistic life. In fact, she surrounded the Eucharistic mystery and Holy Mass with a preceding preparation and a long thanksgiving, in the complete silence of her little room in which Holy Mass was celebrated. 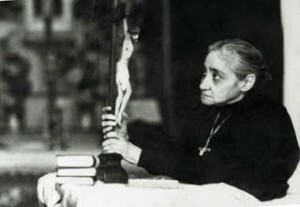 In the writings of Luisa Piccarreta it is said, in fact, that the Eucharist springs from the one source of the Eternal Divine Will, which is one in the Three Divine Persons; therefore It cannot be reduced to the mere comprehension of human intelligence, which, though being free, is always created and will never be able to penetrate the Mystery of God in Itself. Here are the words of Luisa spoken to someone who had told her, not without contempt and bother, of the presence of African-American soldiers during the occupation by American allies in 1945: “I do not know a black man, I only know man, son of God.” With these words she silenced all those who would make comments, certainly not benevolent, on African-American soldiers (From the note of Rosaria Bucci). The dimension of the Cross, in Luisa Piccarreta, is one of the elements that characterize her life. 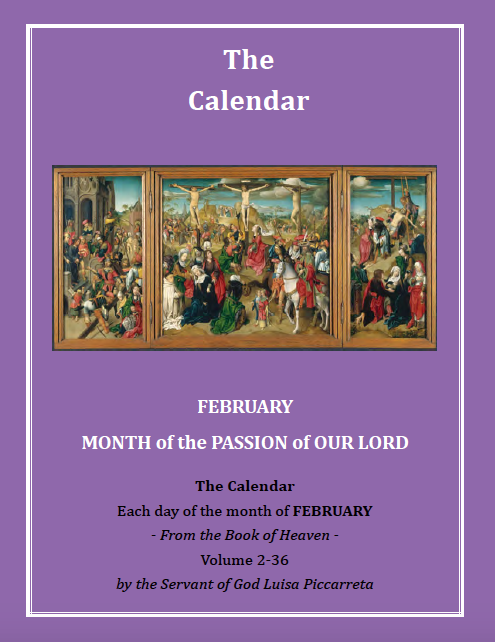 It is enough to read “The Hours of the Passion”, published by St. Hannibal, to comprehend the profundity of the mystery of the Cross in the Servant of God. 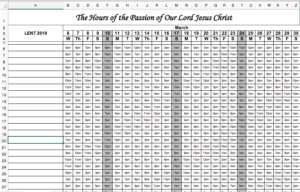 The “Hours of the Passion”, before being printed, were submitted by St. Hannibal to Pope St. Pious X, who read them, and upon returning them, said: “Dear father, when you read the writings of this beautiful soul, kneel down, because it is Our Lord that speaks.” (From the notes of Rosaria Bucci, assistant of the Servant of God, who was present when the venerable father spoke of that event to a group of people who surrounded Luisa Piccarreta, among whom were the Cimadomo sisters, and Miss Argues, who would transcribe onto separate sheets of paper the revelations that Luisa would deliver to her confessor daily. 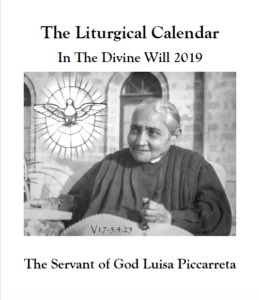 In the mysticism of Luisa Piccarreta, this eschatological concept is always present, as it speaks of the fulfillment of the salvific work of God, which will bring all humanity to salvation. 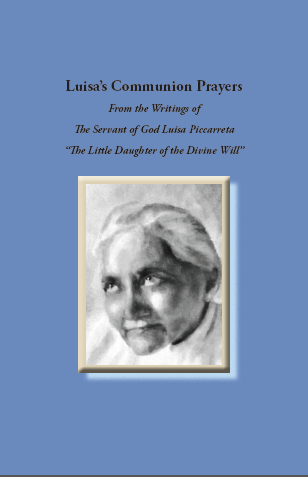 Luisa Piccarreta was fully aware of the real presence of Christ in the Eucharistic species. 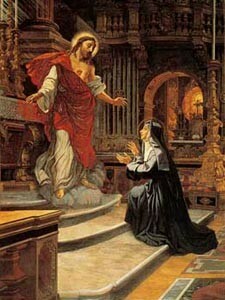 Indeed, from her very childhood she had been endowed with extraordinary gifts, such that, in the presence of Eucharistic Christ all those phenomena began which will lead her to immolate herself for the sins of men, and to place herself between the Justice of God and those very sins, so that Its rigor might not be carried out in full, thus becoming a penitent and suffering soul. It is in the Eucharist that her long life, lived in a little room, and in bed, found all the energy that would reinvigorate her in order to bear her sufferings as well as the load of her daily work. These realities were fully comprehended and lived by the Servant of God, Luisa Piccarreta. In fact, after the intervention of the Holy Office, Luisa remained for a few days without Holy Mass; the indescreet zeal of some priests went beyond the intentions of the Holy See. It took the intervention of the Archbishop, Msgr. Leo, to make things return to the prior state. 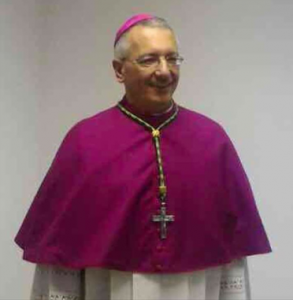 In fact, in the presence of Luisa and of other people, the Archbishop reproached the archpriest of that time, speaking these words: “The dispositions of the Holy See are not these” (From the notes of Rosaria Bucci). During this period, the Servant of God remained in a state of physical exhaustion, such as to lack the strength even to continue her work of embroidery at the tombolo. It was clear that the Eucharist was life for the Servant of God. 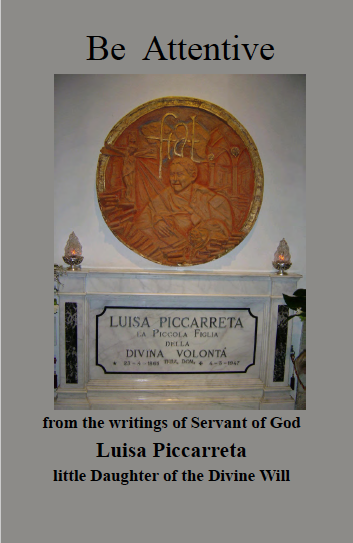 It is clear in the thought of Luisa Piccarreta how man is free, and can adhere to or reject God. The Divine Will, lived by a soul, does not destroy, does not diminish, does not shade the freedom of man. It is necessary to never extract and isolate from the immense magnitude of the writings of the Servant of God phrases or sentences that might induce incorrect and unorthodox interpretations. 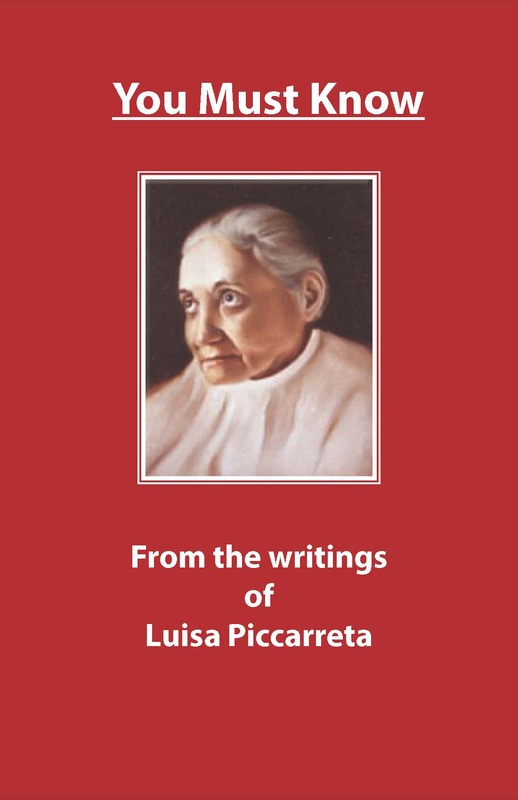 The work of Luisa Piccarreta is to be read as whole and attentively, and more than once, in order to understand well certain passages of her thought. Those who accuse Luisa Piccarreta of heresy, finding in her writings dangers of pantheism, molinism, and even Jansenism, evidently have not read her work attentively (to be benign). 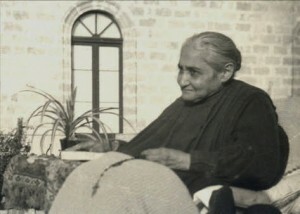 Quoting the words of Cardinal Palazzini, Prefect of the Congregation for the Saints: “The dear Luisa is not a philosopher or a theologian, therefore to speak about heresies or adhesion to philosophical systems is only odd and inappropriate; if there are imperfections in her language it is up to us to correct them, because the Servant of God submitted herself completely to the authority of the Church. 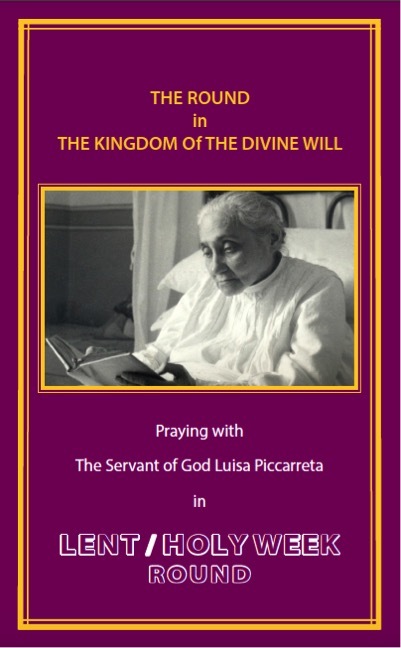 The Divine Will is a doctrine always accepted by the Church, and is part of Her doctrinal patrimony.” Moreover, one must always consider that Luisa Piccarreta is a mystic, and was raised and lived in a peasant family and environment, therefore she amply reflects this mentality, also in her way of speaking. One must also add that she was illiterate, and she uses many words from her dialect, which must be interpreted correctly, knowing the dialect of Corato. It is only the freedom of man that, together with Christ, can give glory to the Father. This was written in the middle of World War I.
 Pope Benedict XV pronounced these words, referring to the War that was in act: “Useless massacre.” (Appeal contained in “Note to the Leaders of Belligerent Nations”, August 1, 1917). The thought of Luisa is very clear in expressing how man has become terror and sorrow without a shadow of pity. The tears and the sorrow of the orphans, of the widows and of mothers, were certainly present in the mind of the Servant of God. Many mothers and many wives would go to Luisa’s house, receiving comfort and words of hope from her in the midst of the tragedies. This language might appear too human, too passionate, on the lips of Our Lord. To the superficial reader it might appear scandalous. But, as a whole, the concept of the Mercy of God shines forth, which wants to bend down toward men, to give them happiness and bread. It is certainly the language of a peasant mentality, which must be seen and read through the parameters of mysticism. This language uses the apocalyptic literary style, common in Sacred Scripture. In the Gospel also can a similar language be found (See Mt 24, 15-25); Mk 13, 14-23; Lk 21, 20-24). In this passage we can find various elements: first of all, the resistance of Luisa toward Jesus, because she has the doubt that everything in her had been either the crafting of her own fantasy or of the enemy. This doubt is benignly accepted by Our Lord, who uses it as the occasion to instruct her on what He will do for the good of the peoples. It is clear that, with all the continuous revelations and the living in the Divine Will, there is always freedom of choice in Luisa, ever untouched; and this shows the style of God, who always respects a free will, even if it is against Him. In the prophecies that we find in this passage, one can well notice the human will, which would want everything to take place in its own time; and the Divine Will, which is eternal. The prophecies will come true in the time established by God, not by man. Wanting to attempt an interpretation of the words of Jesus concerning Germany, present in this passage, the election of the new Pontiff, Pope Benedict XVI, a German, could be a sign, and maybe the plan of God is beginning its journey of fulfillment. These are indeed hypotheses of ours, but the words of the Lord spoken to the Servant of God: “pray – and it takes patience, because this will not be so soon, but it will take time” – these remain certain. The times of God rarely coincide with those of men. One day, at the beginning of the last century, the Virgin said to Luisa: “I will go throughout the whole world; I will go to each individual, to all families, to religious communities, to every nation, to all peoples, and, if needed, I will go around for entire centuries until, as Queen, I have formed my people, and, as Mother, my children, who would know the Divine Will and let It reign everywhere.” (From The Virgin Mary in the Kingdom of the Divine Will – Maternal Appeal). It is clear that Luisa opens new avenues of reflection in the studies of Mariology. In fact, she will say that the Church has developed only crumbs of the Holy Virgin, Mother of God. Mary is yet all to be discovered. This privilege with which God seems to have endowed His Mother cannot be found in any other treatise of Mariology; and no other Saint or mystic has ever spoken of it, even though Her Immaculate Conception was defined as a Truth of our Faith (on December 8, 1954, by the blessed Pontiff Pious IX), which could have given the occasion to speak of the this gift. Everyone, instead, preferred to uphold, also for the Most Holy Mother of God, the theory of the natural course of human growth. I believe that “them” refers to the passions that derive from original sin. Indeed, Luisa herself would remain disconcerted and almost incredulous in the face of the role and the task that the Lord entrusted to her. A similar episode that took place when Francis of Assisi met with Pope Innocent III. During the night, in a dream, the Pope had seen the Lateran Church about to collapse, but the poor little one of Assisi sustained It on his own shoulders (From the “Life of St. Francis” by Celano). Luisa had asked Our Lord not to give course to Justice and to have pity on men, because she thought that giving course to the Justice of God would be too much, and she was disposed to bear all the scourges herself. From the archive of Fr. Bernardino Bucci.